Home » American Express » When Will American Express Centurion Lounge Open at LAX? When Will American Express Centurion Lounge Open at LAX? I’m a huge fan of the American Express Centurion Lounge concept. Even though these lounges tend to get crowded during peak periods, I still find them to be a valuable oasis. But I’m getting tired of the LAX tease! It started with three couches in the Tom Bradley International Terminal in late 2015. Soon thereafter, an LAX employee newsletter claimed the a new American Express Centurion Lounge would be opened at LAX between Terminals 6 and 7. 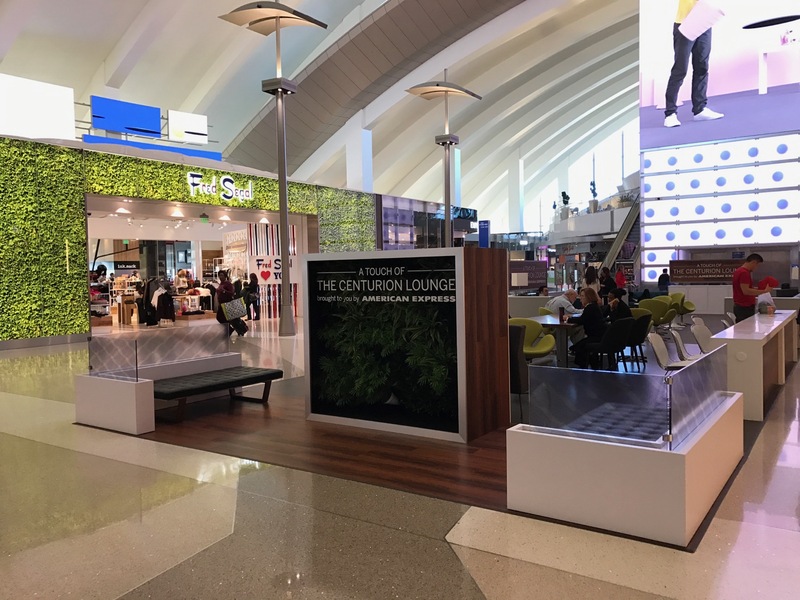 I can’t speak to the airport’s employee newsletter, but I can tell you that LAX is an important and much frequented airport for our Card Members, and we are actively exploring ways to bring The Centurion Lounge to Los Angeles. At this stage in the process, we’re still in discussions with the airport about finding the right space and location for a lounge that will fit our Card Members’ needs. That was in November 2015. Note the issue was “finding the right space and location” at LAX, not whether a lounge would be coming. That seemed to be a step back from 2015 when the issue was location and not the lounge itself. Another half year has passed. I reached out to American Express for an update and this time received no reply. I know AMEX is hurting, but after a two-year tease I hope we will eventually see a beautiful AMEX Centurion Lounge in the City of Angeles. Until then, look for the Philadelphia lounge to open next month. That lounge was supposed to open yesterday but has faced several delays. The new LAX lounge had best be YUGE given all the LA posers and their Platinum cards. The Vegas lounge is often packed with the same folks. All the major airlines and alliances already have lounges at LAX. And the separate terminal arrangement at LAX makes it difficult for access. I wish they would have responded this week to my request for a quote.That’s a logical explanation. As someone who lives a $1.25 bus ride from LAX, I won’t even consider an Amex platinum until it gets a Centurion lounge. Soooo… you do realize you have to have an actual booked flight and boarding pass to get in, right? The last place it is needed as there are already UA and AS lounges there. T-1 would be a much better choice but Amex no doubt feels WN does not have the snob factor it tries to project. LAX has basically the same issue with JFK – a ton of tiny terminals, and few connected airside, if at all. i mean *strictly* speaking TBIT is connected airside from T4 through T8, but for all practical purposes, if the lounge eventually is located in TBIT, it’ll be mostly to the benefit of long-haul plus a subset of AA pax, primarily those with T4 flights. That’s the market they are trying to get, though – AA and UA pax. Since they still have the deal with DL (for now), they aren’t going to put a CL in a delta hub or delta terminal. Agree. Terminal 1 is definitely out for the reason Boraxo mentioned and Terminal 2/3 are a no-go because of Delta. That leaves TBI or the original Terminal 6/7 plan, which I still think makes the most sense. Since T5 is now the misc. terminal and T4 has AA lounges, I think T6 is the best place. Very annoying it’s not at LAX yet….or even on the horizon. I’ll be super excited when it finally opens. I might even start flying out of LAX more instead of Orange County, Ontario, or Burbank. Let’s make it happen! Depending on whether it had free massage like DFW/MIA, I might do the same even though BUR is much closer! I was at LAX this week and noticed some construction between 6 and 7. Nothing by way of signage, but there is certainly space there should they decide to pursue it.